Jacobs School engineering students receive a check for their winning widget during a competition hosted by Qualcomm and UC San Diego. From L to R: students Marc Mounzer, Jen Trezzo, Stephan Kemper, David Vanoni and Andrew Huynh; and Kevin Hunter, Director of Product Management, Qualcomm Internet Services. San Diego, CA, February 10, 2009 --From finding the nearest restroom to checking the latest movie listings, engineering students at the University of California at San Diego have received kudos for their creative “widgets” designed for a new mobile Internet platform called Plaza. The engineering students only had a day-and-a-half to design their widgets, which provided some technical and time challenges. “There was lot of pressure because of the time frame, and there were a lot of technical difficulties we had to overcome,” said Vasileios Kontorinis, a computer science & engineering graduate student who helped design the Moviefinder. “It was really interesting to experiment with this platform. 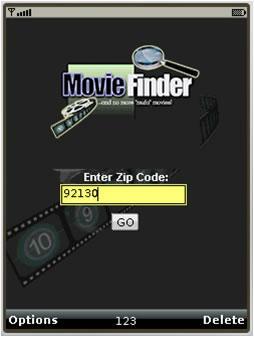 This is how Moviefinder works: First a user enters a zip code to find nearby theaters. Once the theaters are found, a user can view what movies are playing at each theater. The widget also gives the user directions to the theater. Jacobs School students received kudos for their winning widget MovieFinder, which helps people on the go find the best flick in the closest theater. Kontorinis said his team has some fine tuning to do for the MovieFinder before it can be offered through the Plaza platform. The Jacobs School students may be able to offer their winning widgets to mobile operators worldwide once Plaza is commercially available later this year. 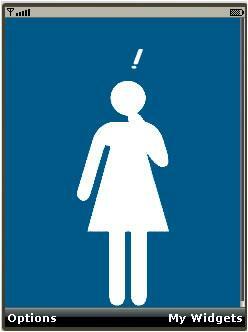 By using “iQ,” people can ask their group of friends or those with common interest a question via their mobile phone. The idea behind this widget is to give users more relevant answers to their questions instead of finding generic answers or solutions via the Web. The Bathroom Buddy is one of the winning widgets Jacobs School students created for Qualcomm's Plaza mobile Internet platform. While some mobile users try to find answers to every-day life questions, others may just need to find a bathroom – and in a hurry. That’s the premise behind the “Bathroom Buddy” widget. Besides designing a product that has real world applications, Chen said the widget competition gave him the opportunity to work with industry leaders whom someday he may be working alongside. Ana Schafer, Qualcomm’s senior marketing manager, said the competition also gave Qualcomm a chance to tap into the future workforce.